Good Girl Gone Redneck: Follow me! I'm guest posting today. And honored to be invited! Go check out my friend Deirdre's place here: JDaniel4's Mom and leave us a message to say hey. 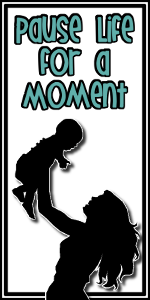 I'm sharing mommy moments and participating as her weekly Pause Life for a Moment guest poster. Such a thrill! Comments here are off today so you can go over there and give us some love.